If anyone has any factual info, or even a sighting about this car, please email me. The input I have all seems consistent in that these were 92 or 93 SLs that were converted. Andre C bought this beautiful 92 SL automatic convertible. "I bought the car from the original owner in West Palm Beach, in May 2002. Builders now concentrates mainly on Cadillacs - www.coachbuildersltd.com. existence. 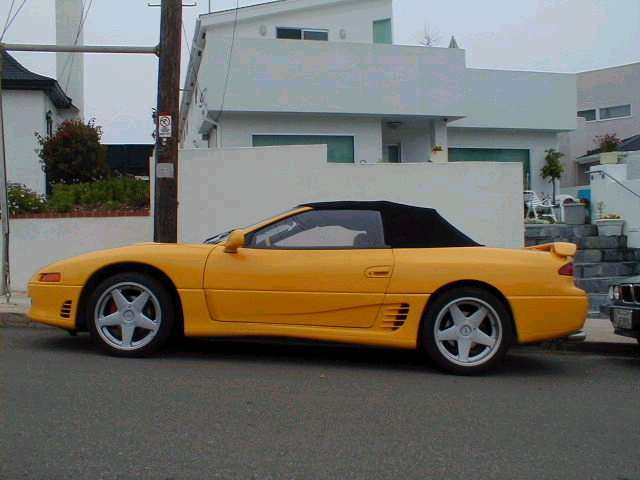 I am researching the 2nd Coach Builders 3000GT. was easier than some conversions as the doors are frameless. There was a company who made several of these. It was a conversion they made on standard 1992-1993 3000gt's which included transforming it from a hatch back to a small trunk. The cost of the conversion was 18k which put the car at about 45k retail, however the last couple went for 35k and were sold in 1995 but were new 1992's. It is 5 speed and it is not a vr4. 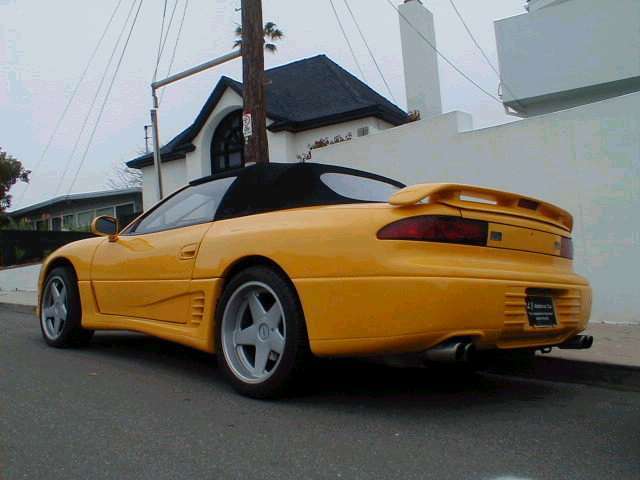 The yellow 3000GT on your website looks like a 1992 or 93. 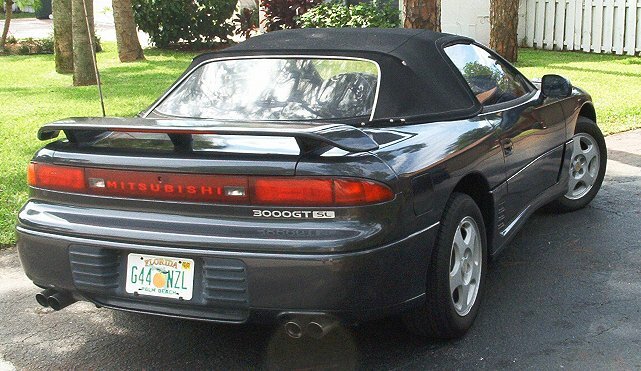 In 1996, in a Mitsubishi dealership in Hawaii I saw a 1995 red 3000GT soft top convertible. 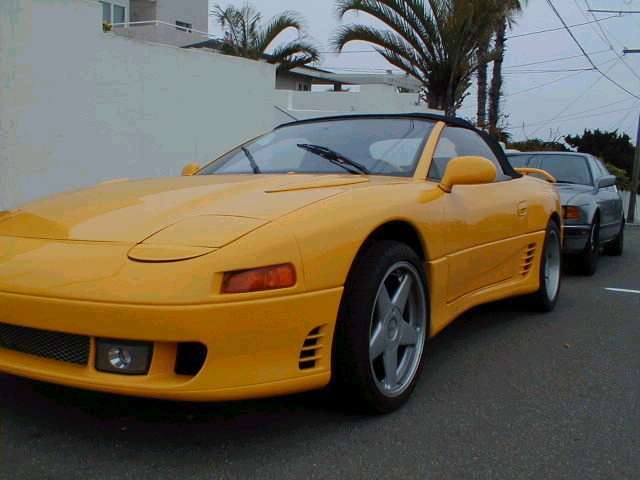 It definitely did not have pop up headlights nor the hood bulge of 1993 and earlier 3000GTs. It was a Mitsubishi not a Dodge. They were asking about $60,000 for it as a leftover new car. So there is another red convertible around somewhere. The Dealership is now closed and I have not seen the car in the Honolulu area since then.